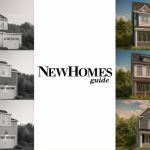 If you have shopped for a new home recently, you probably started online looking at photos and floor plans and then transitioned into visiting physical model homes. 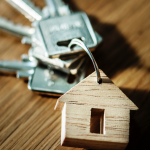 But the way people shop for homes is starting to change. In fact, in a startling survey in May 2017, the Redfin real estate brokerage found that one-third of homebuyers purchased a home sight unseen. That’s a big jump compared to the 19 percent of buyers who bought a home before they visited it in 2016. Millennials are even more likely to make an offer on a home they haven’t seen at 41 percent of those surveyed. Chances are, at least some of those buyers used virtual reality or augmented reality to preview their new home. Technology is rapidly advancing the way builders can showcase their homes to prospective buyers. Instead of looking at renderings or photos of a model home, you can look online at 3D images that allow you to click on rooms for a more accurate view of the space. Augmented reality also provides buyers with the opportunity to change the way a room looks with different furniture and finishes by superimposing changes onto photos of existing rooms. Virtual reality refers to images of places that don’t actually exist, similar to what people see when playing video games. You can use a headset like Oculus or a cardboard headset to see images on a screen at a builder’s sales office or on an app on your smartphone. Most buyers are open to the idea of virtual reality. A recent study by Realtor.com found that 89 percent of those surveyed thought virtual reality could be very helpful; 70 percent said they were somewhat or very likely to use virtual reality when buying a home. Buyers who have already experienced virtual reality to play a game or watch a movie or to take a simulated bike ride or climb a mountain are likely to be comfortable touring a house with this technology. But even novices can quickly grasp the advantage of being able move around and see a kitchen from several different angles and to get a sense of the size of the family room windows and to check out the master bathroom. While most buyers like to visit a model home to see and touch the home in person, if you’re relocating or just want to save time by screening out some potential homes, virtual reality can give you a better experience than simply looking at a floor plan or a drawing. Many people have trouble visualizing the size of a room or the ceiling height from numbers on a floor plan and they can’t always get a sense of the flow of rooms or the light that can come into the space. Unlike watching a video, virtual reality mimics the experience of moving from room to room. Long-distance buyers can benefit most from virtual reality since they can feel as if they have walked through a property even though they are thousands of miles away. 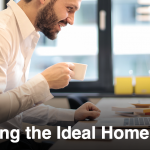 Local buyers can use the technology to check out multiple model homes and choose the one they like even if it hasn’t been built in their area. In addition, they can avoid driving to multiple model homes at different communities. 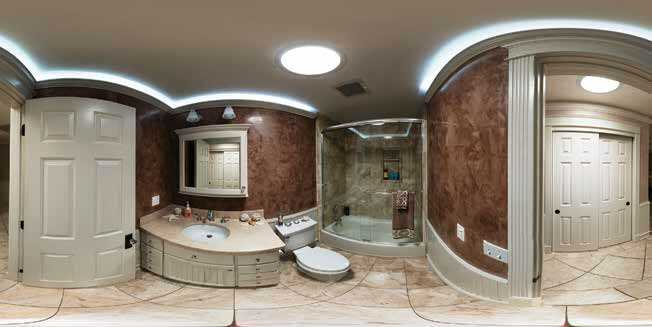 Virtual reality provides moving 3D images so buyers can get a better feel for the proportions of a house. 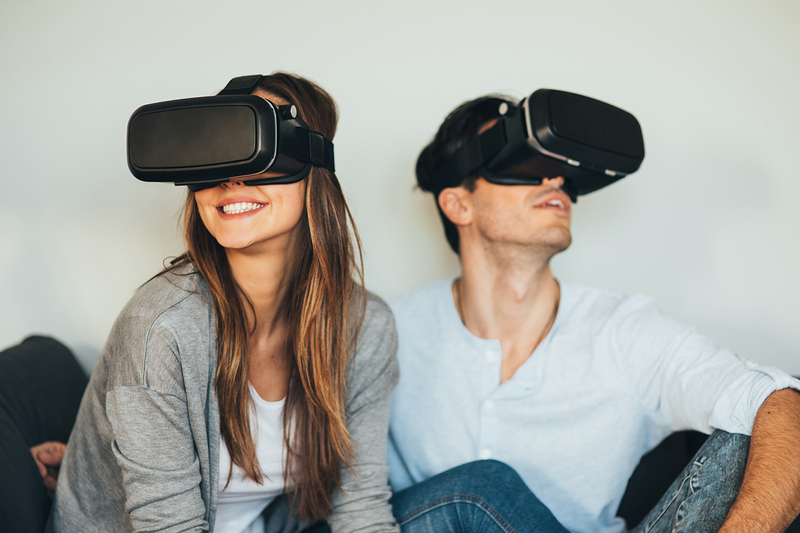 While the most common way to experience virtual reality is to look at a model home that hasn’t been built, builders can design entire communities and showcase planned amenities with virtual reality. Buyers can check out the tennis courts and look at the fitness room and the community center even before they are built. The technology can be so lifelike that you can see ripples in the surface of the swimming pool and rustling leaves in the trees. Eventually, builders are likely to start using virtual reality when they want to apply for permits to develop a new community to make it easier for government staffers to visualize what the new neighborhood can look like. Builders are already beginning to use virtual reality with focus groups to help them design and tweak their home designs. It’s much less costly for builders to develop several virtual models and ask potential buyers to compare them rather than to build actual models of every floor plan. While most builders plan to continue building at least one model home to showcase the quality of their homes, virtual technology is anticipated to eventually allow them to produce multiple versions of model homes virtually. Some builders who are using the technology now say it gives them the opportunity to pre-sell more homes while they prepare the site and begin construction on model homes. If you’ve sat in a design center or at home with paint chips, a small chunk of granite, a piece of tile and a tiny square of wood in your hand and wondered how they would all look together, you may be ready to embrace virtual reality. The ability to truly see what various combinations of finishes look like together can relieve the pressure of choosing options, particularly for people who have trouble narrowing their choices. Many builders offer video walkthroughs of a kitchen that buyers can watch with the option of changing cabinet colors, counters and flooring. Virtual technology takes that experience a step further to allow buyers to feel as if they are standing in their kitchen and looking at it from every direction. 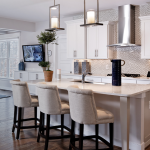 While not all builders offer augmented or virtual reality yet, Toll Brothers recently announced a pilot program called Kitchen 360 that allows buyers to create millions of combinations when designing their kitchen. 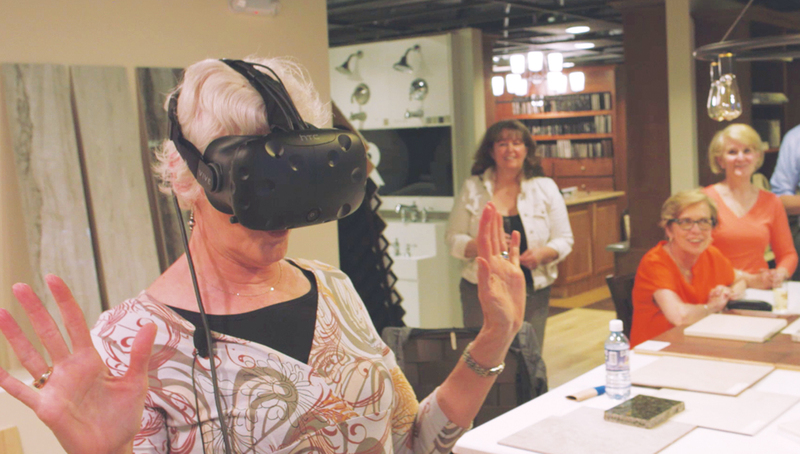 Buyers can start by personalizing features within their floor plan on a tablet and then put on an HTC Vive headset to walk through their kitchen to see what their choices look like, including appliances, cabinets, finishes, flooring, counter tops and paint colors. Whether you want to virtually visit multiple model homes, experiment with options or buy a home sight unseen, virtual reality can give you even greater confidence that you know what you will get when you buy a new home.